We have been reinventing IBM. We just had our earnings and 50 percent of the company has moved into these new products and services which are always redoing the portfolio. One of the things with the Red Hat acquisition is really what I see in front of us, which I call chapter two of the cloud. For most enterprises, chapter one was the easy things that they moved. Pretty low hanging fruit. If you sized it, 20 percent is what’s moved to the cloud. The other 80 percent is not just more complex, it’s got a different complexion. Most companies weren’t born yesterday. It’s like if you have a house already. You’ve got your house. You say these rooms I’m not going to touch, I’m going to leave them as they are. These rooms are going to get remodeled, moved to the public cloud. These are so sensitive, I’m going to keep them right here and put them in a private cloud. That’s really what Red Hat and us together says to all of our clients out there. With this journey now, you are going to have multiple clouds. They are difficult to manage with security and moving of data. Don’t get locked into any single cloud. We now become the greatest proponent of open and open source. Part of Red Hat is how you build things so they can move from private to multiple clouds. 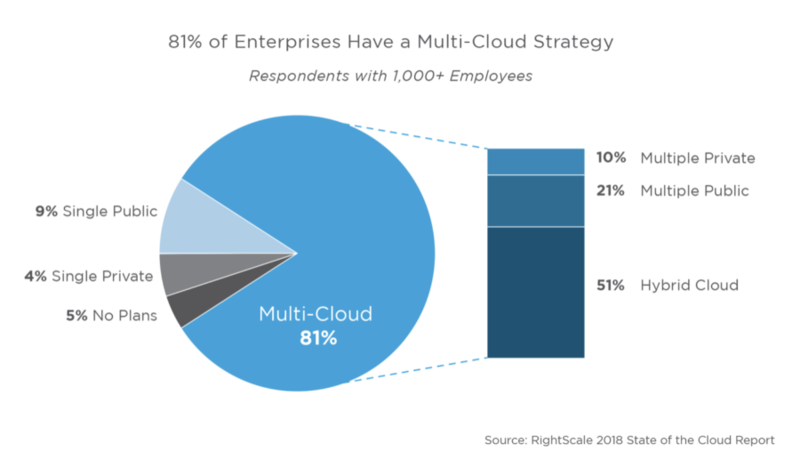 This allows clients to move to a multi-cloud era, open so they are not locked in, in a very secure way, so they make their cloud journey from where they start. It really allows us to own the starting point and the ending point of a cloud journey. That’s part of the portfolio. When you think of IBM, think of your mission-critical work. We believe it will be a multi-cloud world, but we believe we will have the most secure public cloud for mission-critical work. We will also help you manage and integrate all of these other clouds together. We are the cloud for business. That’s how I would differentiate us. For big business as well as small. You will see a different mix between what percentage runs on a public cloud versus a private cloud. Most clients may have their CRM system with Salesforce, their HR system with SAP or Workday, etc. They already have all of this different real estate. All of us know the big job is how to manage it, access controls, security, know what data is where, and how much data you want flowing. We will be number one in what the world calls hybrid cloud. Our familiarity and investment in Linux goes back 20 years. Linux is the open operating system and what people mostly think about when they think of open. We are one of the top contributors to all the projects out there. So I think counter to what may be the perception out there, IBM is the greatest supporter of open source. Take blockchain, for instance, that’s all open source. We open sourced that on purpose to make it fly. Red Hat Linux is the number one operating system in on-premise as well as number one in the cloud. This year it took over number one over the others. We view this a part of our DNA to be open. I don’t see it cultural. It’s really important for what they do that it not just run on IBM. It’s going to run on all of our competitors. This is friendly competition as well since these are our clients that use all these. It will be on all the other clouds. We want to preserve that and make sure that they have equal opportunity with what they do. Then what we do is we take the same products from Red Hat and we add to it and then we also compete in that world. We have a strategic imperative around cloud, around analytics, and around mobility. That’s the part of the business that is now close 50 percent of the company.